Below you will find a student’s work you can regard as a reference when doing the test yourself. These are the possible answers to the examination set published under the sequence number L3/W/011. The three writing forms are good enough. All tasks were fulfilled, however, the report did not reach the words limit assigned. Surely, more hints could have been exploited in this report. I preserved the student’s actual wording and writing organization, correcting only some grammar errors and awkward expressions. The rest remained untouched. Replying to your letter I am pleased to inform you that we are grateful for Poland’s decision to support European logistic projects. Currently we are facing the lack of engineers for servicing Sensors for Anti Sniper System. Nevertheless, Poland can also support us in other projects, such as sending tanker aircrafts to Air-to-Air Refuelling missions. Depending on your preference, other projects can also be supported. I propose to discuss your involvement during the next Project Board meeting which is scheduled on the next week. Usually we meet quarterly and one week before a meeting I’m sending a remainder. If you have any suggestions or additional information, please do not hesitate to contact me on email or phone. Recently some actions have been taken to outline Polish troops involvement in the next Project Board meeting. It has been agreed that Polish representation will consist of 3 high rank officers and 10 junior enlisted ranks. Regarding their accommodation, a liaison officer has been assigned who will support them during their stay. For security clearance reasons the copies of ID cards have to be provided. This will be clarified during the next teleconference. Recent statistics show that Polish arms industry has significantly increased their support in European projects. Polish industry is mainly focused on providing military technology, which Allies work together on, which may consequently lead to their own brands to be more recognizable. By developing the military technology, Polish government will probably need to cut the funds for other branches. Additionally, they need to enhance production efficiency, since it takes them two months to build only one new fifth generation fighter aircraft. One of the best solutions to bring their own market to be more effective is to launch the cooperation between them and other European military industrial companies. By sending experienced specialists to their factories, we can strengthen the Polish military industry and in consequence enhance the European safety. This effect could be also achieved by creating multinational Engineers Project Board to work together on a new strike fighter. 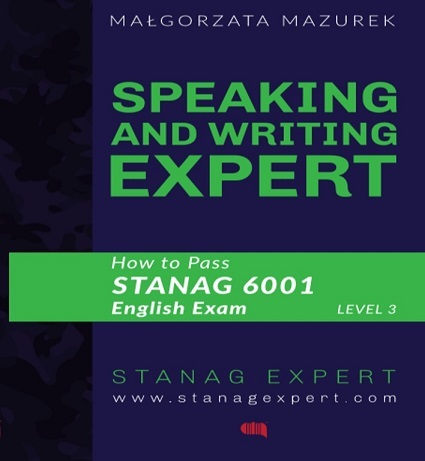 This entry was posted in language skills, Writing and tagged egzaminy MON, level 3, military English, mock exams, pisanie, poziom 3, SLP 3333, SPJ 3333, STANAG tests, wojskowy angielski, writing samples on 02/11/2015 by Paweł Jasiński. Below, you will find my student’s answer to the test previously published under the sequence number L3/W/012. This is the student’s version with his errors correction already done. I did NOT interfere with the student’s way of reasoning and the work organization. 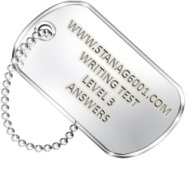 The piece of writing presented was good enough to pass level 3 exam. Use it as a reference point for your own writing attempts. Enjoy. I am writing in reply to your query about the food and medicine convoy security. Of course, we are able to support you in this mission but we need to obtain more information from you. First of all, If I am to organize a convoy from the airport I need to know the exact time of the cargo plane arrival and the number of trucks in the convoy. These details are very important to organize proper security. 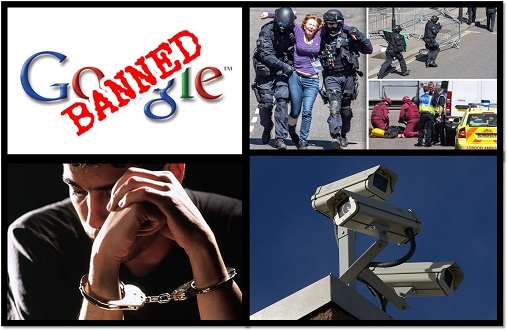 Here are a few things that we could not accept. We should move the distribution place further from the city centre. It will help us to secure it. Finally, we can secure the centre for one day only due to other tasks. I recommend that you finish distribution in one day. I am pleased to inform you that my soldiers secured the convoy from the airport to the city centre. However, during the food distribution, some local police officers tried to illegally take a large pile of food and medicine. After my intervention, they withdrew but they still observed us. Although we secured distribution this time, I recommend that we involve high rank authorities to this type of missions in the future. The purpose of this report is to inform your agency how the armed forces’ participation in international military missions is perceived in Poland. This report is based on the Polish MOD statistics, the survey conducted among soldiers as well as information gathered from the press and Internet sources. Polish army for the last 15 years have been participating in 7 missions abroad. The Polish missions in Syria, Lebanon, Chad have already been finished; four more are ongoing in Afghanistan, Bosnia and Herzegovina, Kosovo and Iraq. The biggest mission is the Afghan one, with 2,600 Polish soldiers deployed there and 16 killed so far. The fewest soldiers serve In Iraq (c. 20 officers). Generally, the public opinion in Poland has negative attitude to military missions. About 71% of people do not want to send our soldiers abroad, only 17% accept it. The cost of missions and threat level there are the major reasons for the lack of support. Most soldiers have positive attitude to the missions. which help them improve their skills. Most soldiers think that to make our missions more effective and more safe, the government should modernize our army. Soldiers should be equipped with better equipment, for example special uniforms and weapons. All things considered, I believe that our soldiers served well in missions abroad but some things need to be changed, mainly in our equipment. 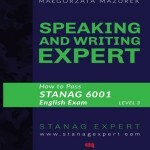 This entry was posted in language skills, Writing and tagged level 3, mock exams, pisanie, SLP 3333, SPJ 3333, tests, wojskowy angielski, writing samples on 02/08/2015 by Paweł Jasiński.